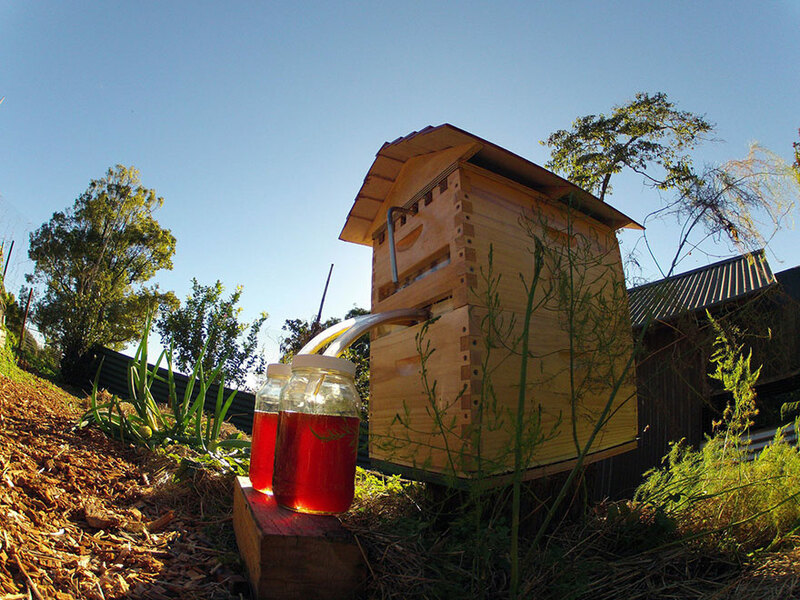 With this brilliant invention by Stuart and Cedar Anderson, a father-and-son beekeeper team in Australia, honey bees around the world can breathe a collective sigh of relief. 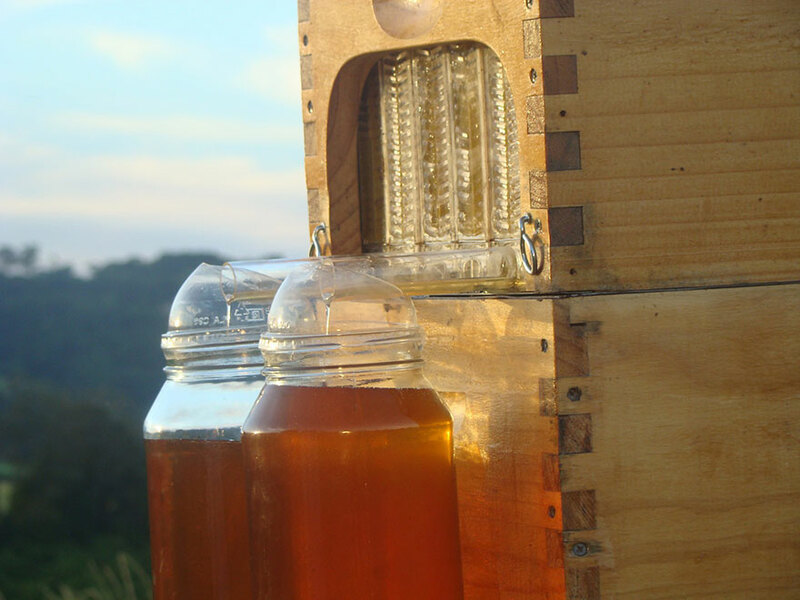 Their Flow Hive invention allows beekeepers to harvest honey from their hives without disturbing the bees inside. 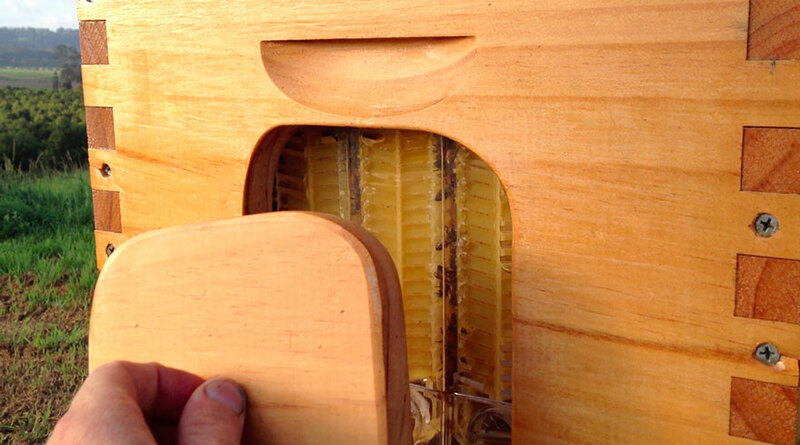 The clever invention works by providing the bees with a partially-completed wall of honeycomb cells that they then complete with their own wax. 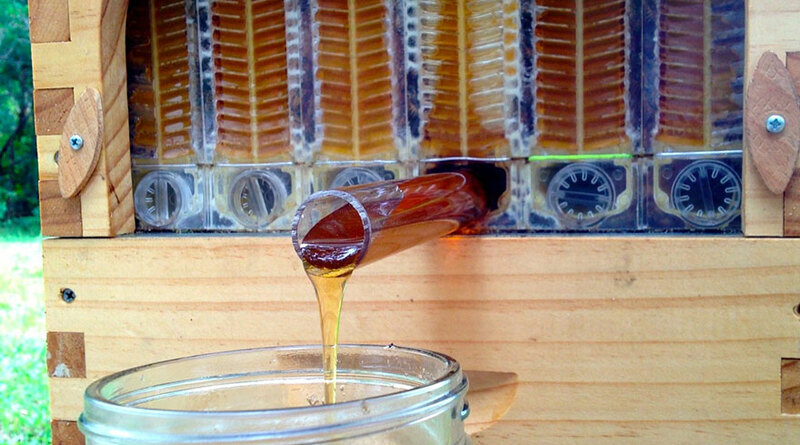 After they fill these cells with honey and cap them with wax, the beekeeper can open the other end, allowing the honey to flow out into a tap without ever disturbing the bees. 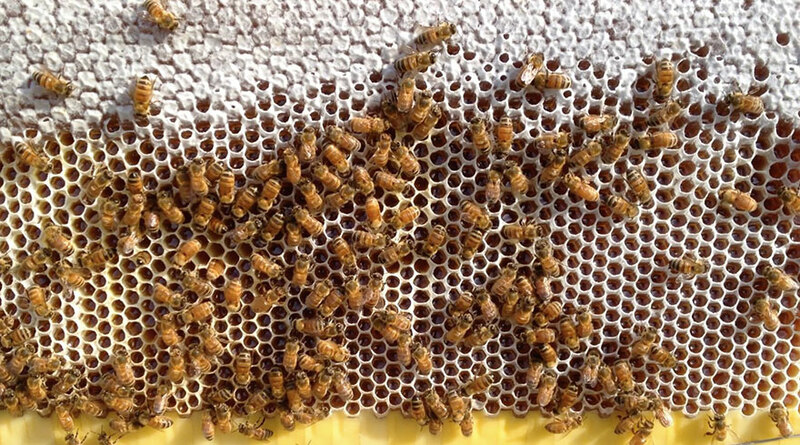 The bees simply reopen the cells and fill them up again. 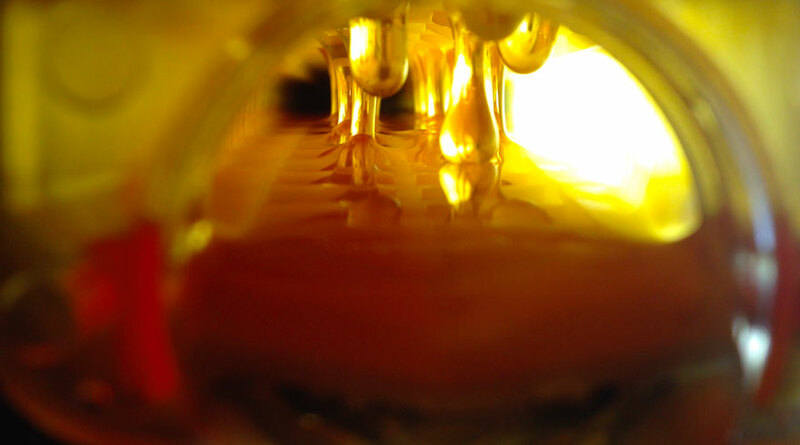 Honey bees around the world are in trouble from something called colony collapse disorder, and this is highly worrisome because of the honey they produce and the agricultural plants they pollinate. 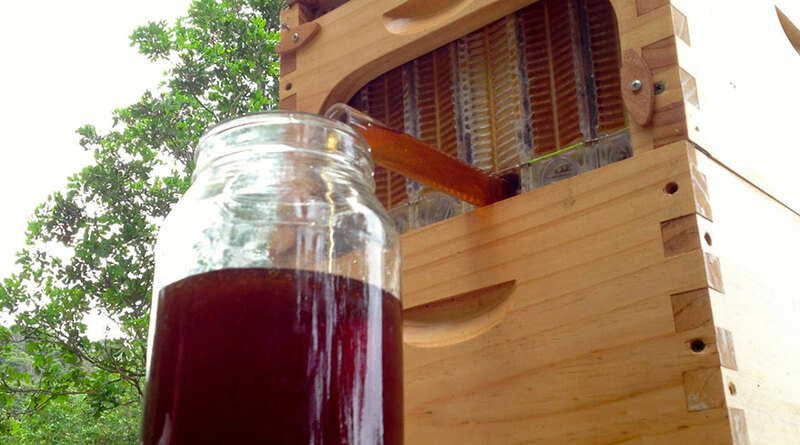 Hopefully, this hive will give weakened hives a much-needed break from intrusive visits from the bee keeper!